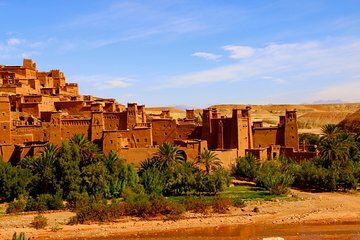 Sehen Sie die Wüsten-Kasbahs und Filmsets in Ouarzazate bei einer ganztägigen, privaten Tour von Marrakesch aus, die einige der dramatischsten Drehorte Marokkos erforscht. Sie besichtigen den Ksar von Ait-Ben-Haddou, eine UNESCO-Weltkulturerbestätte, die in den Dreharbeiten von Game of Thrones bis Gladiator zu sehen war, und fahren dann weiter nach Ouarzazate, Heimat von Filmstudios und historischen Festungen. Wenn Sie mit einem privaten Reiseleiter reisen, können Sie den Tag ganz nach Ihren Interessen gestalten. Der Pauschalpreis gilt für bis zu sechs Personen. The street to the desert was closed because of snowing, then the guides offered us immediately to make another trip in a sunny area of marroco essaouira. It was a very great trip. The guides Mubarak and Hamid were very friendly and told us a lot of interesting things about the wonderful nature and culture of moroccans. It was a perfect day. We had a most excellent trip.  Lassan is a very experienced, careful and safe driver with a most comfortable four wheel drive. He is a very intelligent, friendly and caring guide. He safeguarded us from unpleasant experiences. He told us a lot about Berber culture. The whole trip was excellently organized. I would certainly recommend him for any trip. Flawless. we wish him the best for his future. A truly amazing day with my tour guide Salem...an experienced and safe driver who made me discover places I never dreamed of. I will remember the magnificent Atlas mountains...fortified villages and stories told by my guide all my life. A new culture...the bereber was revealed through this tour. The car ride was fun but you should be prepared for a car sick. The road was very winding and climbing up the high altitude could be an issue. The different landscape and authentic Maroc way of life was worth seeing. The actual Ait Ben Haddou was not that great. It was a ruin that was not worth visiting. The site was just a ruin kasbah without anything appealing. The movie museum in Quarzazate was terrible. The display was bad. It was nothing comparable to any museums you know in the U.S.